See below for Described Video Text. By-law No. 2016-249 reduces and in some cases eliminates the minimum number of parking spaces required for development in the inner-urban area and near rapid-transit stations, consistent with the relevant policies of the Official Plan. When you build something in Ottawa, the Zoning By-law says you have to include a certain amount of parking. But a lot of those standards haven't changed since the 1960's. Some of our most unique urban neighbourhoods, like Hintonburg and the Glebe, they were built back before we had those rules. But you couldn’t even build those places today, because you’d have to provide so much parking lots to comply with the zoning. You could put the parking underground, and some developments do. But that's expensive, and it means the building has to be bigger. Some big cities now require much less parking than Ottawa does. Our current parking standards make it hard to start and grow a small business. Plus, parking takes up a lot of space that could be used for other things. This lot here? It's big enough to park up to twenty cars. Or, you could build apartments for put to twenty people instead. Here's the thing. When you decide that all development has to have lots of parking, it creates an environment that's really difficult to walk in, or bike, or take transit. So naturally everyone ends up driving. And that means traffic. We’re building light rail and bike lanes, and neighbourhoods where people can walk instead of having to drive everywhere. That means a more liveable city, more choices, less traffic, and less need for parking. It's not the sixties anymore. Ottawa is growing up. It's time our parking rules did too. 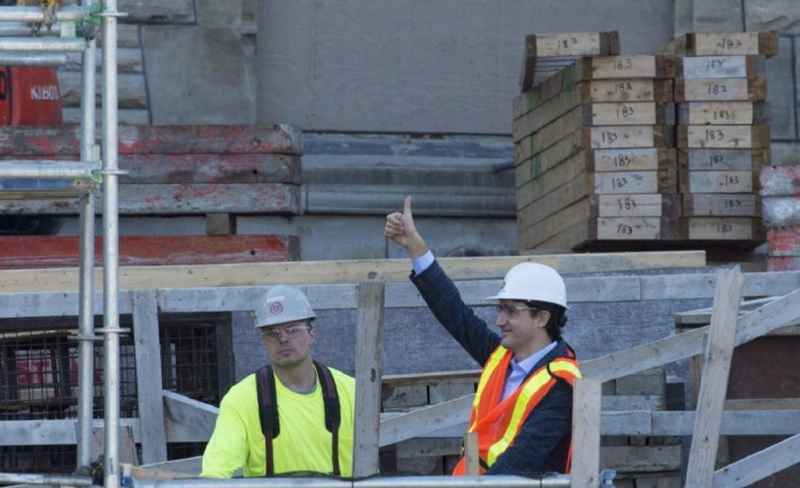 Rebuilding Ottawa: an overdue political metaphor or party planning?